The 52nd annual meeting of the AASP – The Palynological Society will be held at Ghent University in Belgium between June 30th to July 5th 2019. The meeting will be convened by Stephen Louwye & Thijs Vandenbroucke of the Department of Geology of Ghent University. We are looking forward to welcoming you to ‘Het Pand’, the conference center of Ghent University, for a three-day scientific meeting from Monday to Wednesday (1-3 July) covering all aspects of palynology. 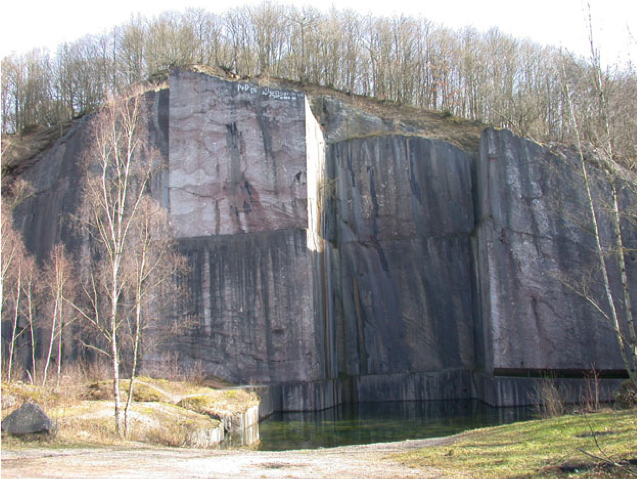 Sunday 30th June 2019: arrival in Ghent/registration/pre-meeting field trip to the Paleozoic and Mesozoic of southern Belgium/outgoing Board of Directors meeting at Het Pand. Thursday 4th July 2019: Start of the 2-day post-meeting field trip to the Cretaceous and Jurassic of northern France. CIMP session - Paleozoic palynology: CIMP Special Session Honoring Jacques Verniers. Convenor: Reed Wicander. Analytical Palynology: combing geochemical and/or morpho-molecular methods with palynology. Convenors: Kenneth Mertens (Ifremer) and Thijs Vandenbroucke (Ghent University). Integrative Cenozoic palynology: enhancing insights in environmental change. Convenors: Karen Dybkjaer (GEUS) and Dirk Munsterman (TNO). Teratology in palynology: this session focuses on the study of malformed or aberrant palynomorphs through geological time. Convenors: Thijs Vandenbroucke (Ghent University) and Sofie Lindström (GEUS). The conference will take place at ‘het Pand’, Ghent University’s main conference venue, right in the historical city centre of Ghent and housed in a former medieval Dominican monastery. Ghent is an enchanting and vibrant city, which is often referred to as one of the most beautiful historic cities in Europe. From St. Michael’s bridge, literally 2 minutes away from the meeting venue, there is a breath-taking view of the skyline of Ghent with the three impressive towers of St. Nicholas' Church, the Belfry with its bell tower and St. Bavo's cathedral, which houses the world-famous painting "The Adoration of the Mystic Lamb" by Jan van Eyck (1426-1432), currently being restored, but open to the public. Traces of the Middle Ages run throughout the city. The old port, with its guild halls on the Graslei and Korenlei, is merely one example of the beautiful sights this town has to offer. Not far from the Graslei arises the Castle of the Counts, once the medieval fortress of the Counts of Flanders. deadline is set on May 1st. The registration fee covers full registration and abstract volume, lunches, morning and afternoon coffee-breaks, and ice-breaker. Please note that accommodation in Ghent must be booked separately. Details on a wide range of suggestions in the city center are available on the venue & travel section. Please contact Stephen Louwye (stephen.louwye@ugent.be) or Thijs Vandenbroucke (thijs.vandenbroucke@ugent.be) should you need a letter of invitation for visa regulations. The 3-day programme will include a wide range of general technical sessions. To date, we have already identified four focus sessions, next to the general sessions. Further suggestions and proposals remain very welcome, and further sessions will be identified as presentations are being submitted. It is important to highlight that we welcome abstracts and contributions on any aspects of palynology. Convenors: Kenneth Mertens (Ifremer) and Thijs Vandenbroucke (Ghent University). This session focuses on combing geochemical and/or morpho-molecular methods with palynology. It aims to promote the use of novel analytical methods in our field, and discuss insights gleaned from these analyses. Convenors: Thijs Vandenbroucke (Ghent University) and Sofie Lindström (GEUS). This session focuses on the study of malformed or aberrant palynomorphs through geological time. Abstracts must be submit before May 1st (i.e., on April 30th) at the very latest. In general, talks will be 15 minutes including questions. If there are more offers of talks than there are presentation slots on the programme, the organizers may have to decline some offers of talks; the option of poster presentations may be given in such circumstances. Preference will be given to presentations that focus on significant findings of interest to a wider audience. Posters (A0 format, height max 120cm, width max 84cm (portrait)) will be on display throughout the conference and a dedicated session will be part of the programme. Detailed instructions as to how to prepare your presentations, and information on the presentation software available will be placed on the website in due course. We will also circulate this information to all delegates that will be giving a presentation. Abstracts will not be part of a formal publication, but will be included in the conference programme that will be distributed at the meeting and will be available online. 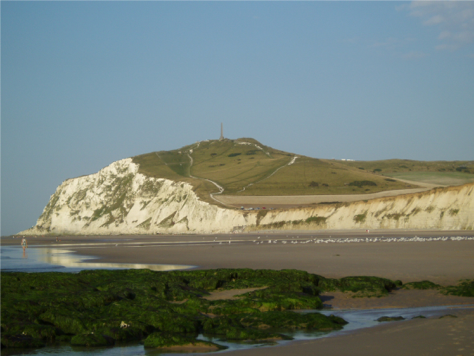 We are proposing a two-day field trip to visit the famous Cretaceous and Jurassic outcrops near Cap Blanc Nez and Cap Griz Nez in northern France. The first day will be dedicated to the Cretaceous exposed along the beach between the villages of Wissant and Sangatte. Albian to Turonian deposits are exposed, and of course you can hunt for fossils. We will visit the Kimmeridgian and Tithonian located between Boulogne-sur-Mer and Wimereux during the second day. Registration for the pre-meeting and post-meeting field trip will be limited to 20 participants as it is impossible to take a large coach to the some of the outcrops. In case of over-subscription, the first-come-first-served principle will apply, in combination with criteria that ensure priority for scientists having travelled far, requiring access to specific sites for current research, and/or a fair spread amongst participants across institutes. The registration for the pre-meeting field trip includes transport by bus, lunch and entrance fees for the Malogne quarry and Bernissart museum. The coach will depart at 8:00 h and return to Ghent around 18:00 h.
The registration for the two-day field trip includes transport by bus, lunches, dinner, breakfast and lodging. The accommodation is located in Ambleteuse (www.lecapdopale.com) in twin bed rooms. Departure at 07:00 h on Thursday July 4th and arrival in Ghent on Friday July 5th around 18:00 h.
Registration for the meeting will not include accommodation, and conference participants are responsible for making their own bookings. The city of Ghent offers a wide range of accommodation, for all budgets. We suggest using www.visitgent.be to explore all the possibilities on the interactive map. Any accomodation near "Stadhuis", "Sint-Baafskathedraal" or "Sint-Michielskerk" is within walking distance of Het Pand, the conference center. We here provide a non-exhaustive list of suggested/recommended hotels (all within walking distance of the venue), and booking guidelines (to obtain certain discounts). You can find a city map below. Please note that we did not block-book these hotels and we recommend booking early to ensure availability. Ghent is a popular tourist destination during summer: our meeting collides with the Jazz Festival and hotels will fill up quickly. When you are flying to Belgium, we recommend flying into Brussels Airport (http://www.brusselsairport.be). Many (European) airlines fly directly into Belgian’s main airport and SN Brussels Airlines (www.brusselsairlines.com) probably has one of the most the frequent flight schedules. From neighbouring countries, it probably is most convenient to take a high speed train to Brussels. Ghent is on the crossroads of the international lines "London - Brussel - Köln" and "Paris - Lille - Antwerpen - Amsterdam". For instance, Eurostar (http://www.eurostar.com) connects London St. Pancras to Brussels South Station in less than 2 hours; Paris Nord - Brussels South is connected by Thalys (link http://www.thalys.com). Check the NMBS (Belgian rail) international site (link: https://www.b-europe.com/Travel) for full details. From the airport, we strongly suggest taking the train to Ghent St. Pieters railway station (allow 1 hour for the journey). There are frequent direct trains to Ghent, leaving from within the airport building (floor -2). Alternatively, the airport City Express leaves the airport (from the same floor -2) and takes you to one of the main railway stations in Brussels (subsequently Noord/Nord/North, Centraal/Central/Central and Zuid/Midi/South), where you can switch (in any of the latter stations) to one of the many intercity trains (IC) to, or via "Gent-Sint-Pieters", Gent's main railway station. Please note that Brussels Midi is not the central station. At least 3 trains per hour leave Brussels with destination "Brugge", "Knokke", "Blankenberge", "Oostende", “De Panne” and stop in Gent-Sint-Pieters railway station. You can find additional information and the time tables at the NMBS (https://www.belgiantrain.be/en/) site. Switch to one of the many intercity trains (IC) to, or via "Gent-Sint-Pieters, Ghent's main railway station. Trains with destination "Brugge", "Knokke", "Blankenberge", "Oostende" all stop in Gent. Gent-Sint-Pieters railway station is a less than 30 minutes direct train journey away from Brussels South station. Avoid, if you are in hurry, taking the train that is labelled “Aalst - Gent-Sint-Pieters” as it stops at every station and it will take a lot longer to get to your destination. The city of Ghent has a good public transport network (trams and busses), allowing you to get to the hotels and conference venues very quickly and easily. Hotels in the historic city centre typically are within walking distance of the conference venues. We will provide more details closer to the time of the meeting. Ghent is at the crossroads of two great European motorways: the E17 connecting Lisbon, Paris, Ghent, Antwerp, Köln, Copenhagen, Stockholm and the E40 connecting London, Calais, Ghent, Frankfurt, Vienna, Budapest, Sophia, and Istanbul. The city centre of Ghent is quite complex to navigate by car, as much of it consists of pedestrian-only zones. Underground parking facilities are available at the edges of these pedestrian zones, and are within walking distance of the conference venues. The closest underground parking to Het Pand is called ‘P7 Sint-Michiels’. From the motorway follow the signs "Gent" / "Gent Centrum". You will enter Gent via the Zuidparklaan; follow the main traffic route. Follow the signs "P-Route" (parking route) to parking “P7 Sint-Michiels”. Its entrance is immediately opposite of the entrance of the conference venue Het Pand. Important: Onderbergen is a one-way street (so you cannot double back) and the entrance to the parking lot is easily missed.